This week for something different we have two reviewers for the Harry Potter Warner Brothers Studio tour in London. Both reviewers are avid fans of the Harry Potter franchise, having both read the books and seen the movies but are in vastly different age brackets. I thought it would be interesting in asking them the same questions and see what they both would write. 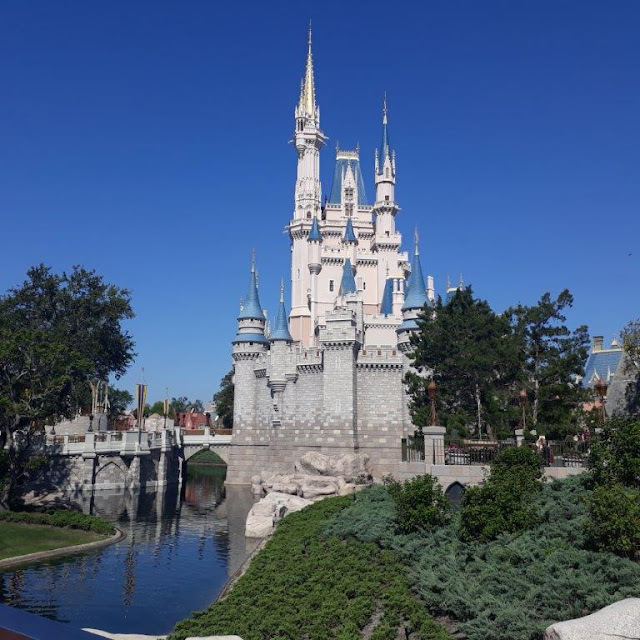 M.G is a solo traveller in her 50's who travelled to the studios in October 2017. L.C is our regular theme park reviewer in his early 20's who last travelled to the studios in 2013. What sort of food is available there and can you recommend? Was it expensive? Or should you bring your own? M.G: I was a solo traveller and had gone to the main café prior to the tour as I had not had any breakfast. The tea and toast were about the price I would expect to pay at this type of café. If I was travelling with young children I would not bother with the main café as there was nothing really special in the way of food there. Though having said this it was not overpriced and maybe would be more convenient for some. About two thirds through the tour there was another eating spot. Mostly it seemed to be selling Butterbeer drinks and ice creams. I did try the smallest size Butterbeer soft serve they had. It was delicious. The drinks looked very sweet but I was surprised at how much I liked the icecream so perhaps I should have given these a try. As far as I could work out you could take your own food into this area and there was also a picnic area for eating anything purchased or brought in. L.C: There is a cafe outside the entrance and opposite the shop but I didn't get anything there when I went a few years ago. About 2/3 of the way through the tour there is a cart where I tried Butterbeer in the outside sets and props section. Was the Warner Brothers easy to get to transport wise? Tube?? M.G: I was staying very close to central London and so travelled a few stops by the Underground to Euston Stations and then used my Oyster Card to travel to Watford Junction. The trains were frequent and for many were express to Watford Junction. It was a very quick painless journey. From Watford Junction Railway Station there was a special Harry Potter Tour Bus. This cost a few pounds return for the trip but was a nice comfortable trip (about 10 mins from memory). There was a short video playing in the bus and the bus looked a little like the Night Bus. Generally I found it easy to travel there and back extremely easy and the instructions on the Warner Brothers Tour website was very informative. What was your favourite part and why? L.C: Personally I enjoyed every moment on that tour but I would say my favourite part is just before the gift shop. 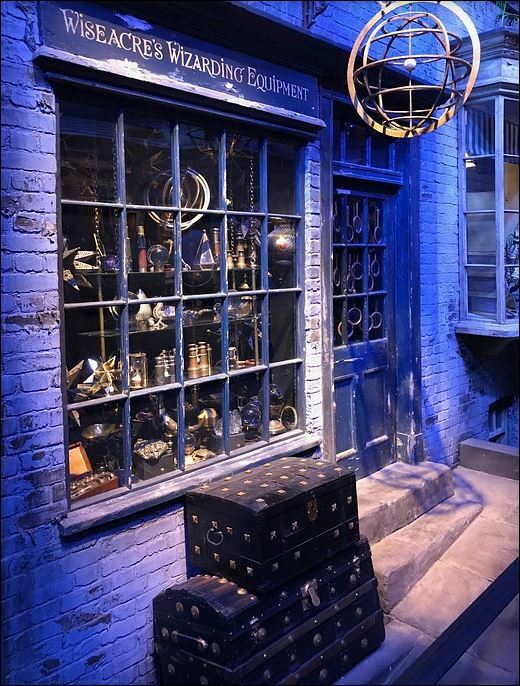 There is an entire room designed like Olivanders Wand shop which you pass through. When I went the majority of people passed through it not really looking but every single wand box enscribes the name of every person that took part in the production on the films which I feel is a nice way to thank every person involved. I spent some time there myself trying to find actors names from Alan Rickman, Daniel Radcliffe, Emma Watson to more obscure actors like Lenny Henry who voiced the shrunken head on the Knight Bus in Prisoner of Azkaban. M.G: I think my absolute favourite thing was the Hogwarts Model Castle. The attention to detail was amazing. It was possible to walk around it and see Hogwarts from a variety of different angles. You could turn on and off lights and get a feel for it in the evening as well as the day time. The Model included some landscaping to the grounds. M.G: I think I was surprised at the detail of some of the sets etc. Where I had assumed special effects or things added into the movies digitally had been used in the filming I was pleasantly surprised to find that there were a lot more props /makeup used to create the final result. L.C: Personally the most surprising thing for me was the level of detail that is placed in the construction of even the most minute props in the movies. There was an enormous cabinet that I spent a while looking through which contained props in the movies. From items such as the currency to the range of different items for Fred and George's Weasely's Wizards Wheezes. I found most of the time there I couldn't stop but admire the detailing on the items in the prop section of the tour. Sets, Props, Costumes (was there a favourite area?) and why? M.G: Although I personally enjoyed the Hogwarts Model Castle I thought the Forbidden Forest was extremely well done and very atmospheric. Re-watching some of the Harry Potter movies recently was a lot of fun as you could recognize some of the parts of the studio where the shooting had occurred and also you can see the use of the model castle. L.C: I enjoyed every area that was there when I went. 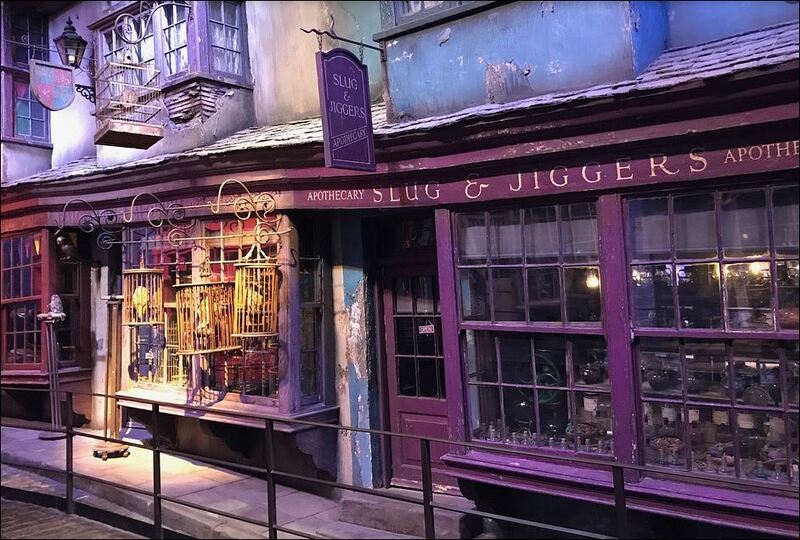 But one of the best moments in the tour was walking through the set of diagon alley. The set is still left up for people to walk through with items still inside the shop. 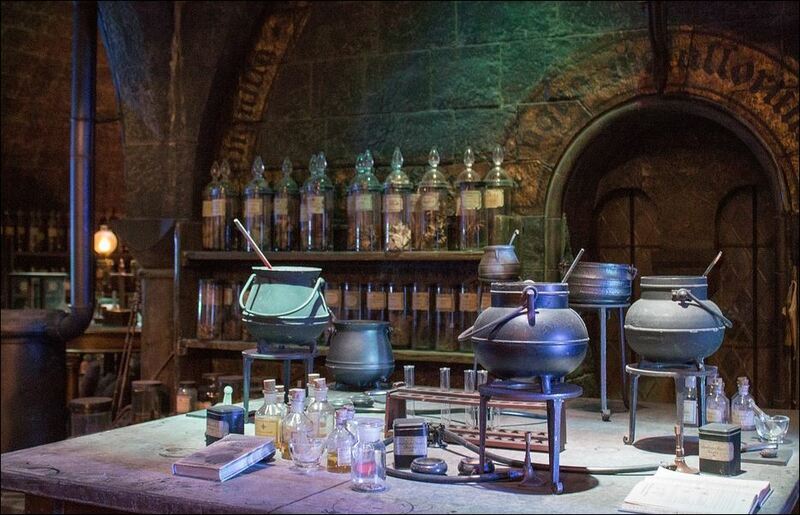 Although you can see a lot of the props and sets from the movie this was the largest part aside from the Great Hall where you could walk through the entire set. Finish this sentence “Do not miss…. M.G: Talking to some of the specialist tour guides located at various spots. Some of the most interesting parts of the tour for me was how the makeup and prosthetics were applied. The experts talked at some length about this and how the techniques etc. developed over the course of the movies. L.C: If I were to finish that sentence I would say 'Do not miss the opportunity to capture yourself in the movies'. In the first building of the tour there was an area fitted with props and green screens where you could dress up and be filmed as if you are in the franchise. From what I recall it was on the broom in a quiddich game, riding in the enchanted ford anglia or riding Hagrid's bike. I myself did the broom and got a picture from the experience. Obviously with a group of friends it is great fun to muck around with and get a personal souvenir after. What are some of the fun shops to visit? M.G: There were three shops. The main shop was located at the entrance/exit of the tour. There were also two smaller shops located at Railway Carriages and also near the Forbidden Forrest. The main shop carried all the same items as the smaller shops. It was possible to purchase items for a wide range of prices and lots of items I had not seen before. I made all my purchases at the Main Shop but did stop to look at the Railway Shop. L.C: When I went there was only one shop aside from the food cart halfway through the tour and the cafe opposite the shop entrance. Obviously the end of the tour leads you directly into the shop but it is filled with everything you can imagine. It ranges from foods from the films, clothing, accessories, kids toys and apparel as well as wands and (my personal interest) prop replicas. I myself spent quite some time deciding what I wanted and debated with myself constantly over what to get. I settled for a marauders map and some pins which I collect from places I visit. But without that restraint (and the fact that I had several wands at home already) I probably would have destroyed my budget. M.G: I did not notice anything to do with wands other than a display. M.G: I think there would always be queues but generally these were pretty short with a wait time of about 15 minutes. There are no lines once you get past the entry unless you wanted to try out some of the interactive things eg. Broomstick riding. As most of these things were not on my to do list I did not queue up and only noticed in passing a few small queues. Individuals and groups are required to book tour tickets online for particular times so I think this ensures that the queues are not too long. The following week was half term for London schools and might have been a lot busier. I timed my visit to try and avoid this. L.C: When I went it wasn't too busy. Though this was in May/April 2013 and wasn't around school holidays or on a weekend. The safe option is to order your tickets online in advance as it can sell out quickly prior to the day you intend to go so it is better to plan a day and get in quick. M.G: I don’t really remember seeing anything about Hogsmeade. Diagon Alley was definitely interesting with a lot of shop windows to look into. The window displays were very detailed and the atmosphere created was excellent. The feel of twists and turns to get to the next window. For me the other highlights of the tour were the Forbidden Forest. 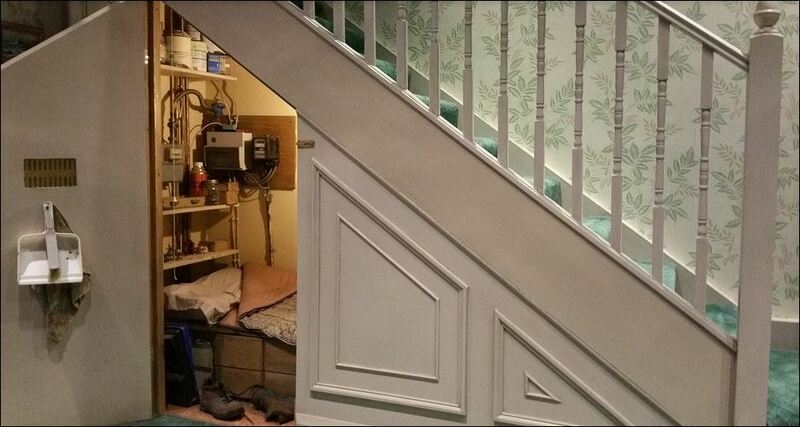 And The Burrow. In both these displays there was a lot of detail and a number of special effects thrown in. For the Forbidden Forest the result was very atmospheric. The Burrow was just a bit of fun pressing buttons to allow the dishes to wash themselves etc. L.C: There is no option for Hogsmede at the studio tour in London. However I am slightly frustrated that they added platform 9 3/4 as I would really have liked to see that set also with the Hogwarts Express train waiting at the station. Although Diagon Alley is one of the only sets you can walk through aside from the Great Hall (and im assuming Platform 9 3/4) the others are roped off but you are able to admire them and notice the detailing. Are there other movies Warner Brothers displays at this Studio? M.G: There is some mention of Fantastic Beasts and Where to Find Them. Also a couple of pictures advertising Harry Potter and the Cursed Child. 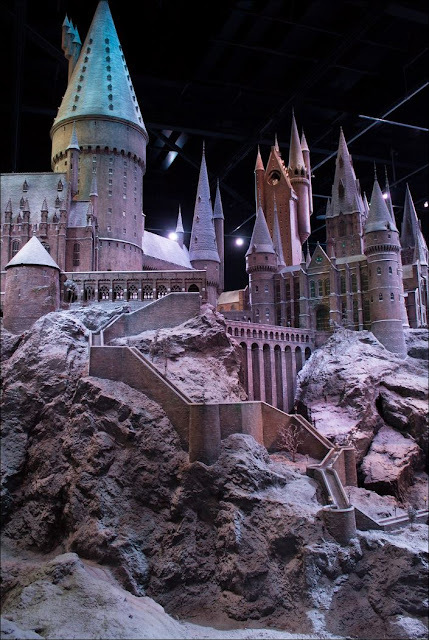 L.C: The studios in Leavesden have been used for a variety of other movies but due to the success of the franchise they have kept everything from the Harry Potter franchise to demostrate its production to the fans. M.G: There are not rides but there are a number of interactive displays which add to the fun of participants. L.C: To my knowledge there are no rides at the studios. 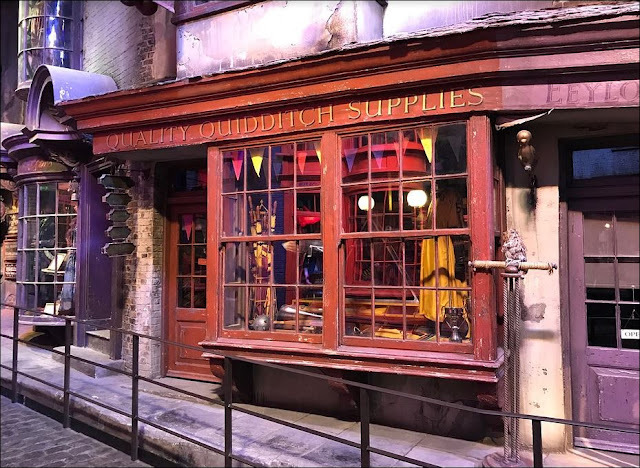 Although there are the green screen experiences, this overall attraction is more like a museum/walking tour of the studio demonstrating the production of the films rather than an interactive experience. Anything you wished you knew before you went? M.G: The Warner Brothers Studio webpage was pretty informative so I managed to get all the information I needed for my visit beforehand. L.C: To be completely honest I would rather not know what is there before I arrive in order to enjoy the full experience. I find knowing too much could be disheartening in case things aren't as you anticipate or gets removed before your arrival. And its for this reason that I'm trying to limit my responses so that the reader can fully enjoy the experience when they get the chance to go. Do you have to be a Harry Potter fan to go? L.C: Obviously as a fan myself that (unlike my family) has seen all the movies and read all the books I spent a substantial amount of time pointing out and photographing minute details that had a more significant impact in the books story that got overlooked or briefly mentioned in the movies. However, I don't feel you need to be an avid fan in order to enjoy the experience. My dad hasn't seen all the movies but he personally enjoyed seeing how everything was made and the technical aspects when it comes to the animatronics. I feel that if you are interested in movie production and techniques you can enjoy this Studio Tour as well regardless of the overwhelming Harry Potter material. M.G: You do not need to be a Harry Potter fan but it definitely helps. Most of the displays etc. assume that you know the story of Harry Potter and who the various characters are. Individuals who are keen on film and theatre production would also benefit from this tour as it does give an insight into special effects, prosthetics, props, make-up etc. As a solo middle aged traveler I would not fit in the normal demographics of visitors but can say that I really enjoyed the tour and I think there was something there for everyone. I hope you have enjoyed hearing about the Warner Brothers Harry Potter Studios. A big thank you to both L.C and M.G for their time in answering all of these questions.